Krang is working on duplicating the original mutagen when Bebop and Rocksteady come in and screw it up. A fly lands in the mutagen and it increases in size. Not being able to control it, Bebop and Rocksteady send the giant insect to Earth. After seeing what the mutagen does to the fly, Krang and Shredder decide to use it to create large insects to take over the world. Genghis Frog (a friend of the Turtles) decides to go to the city and see his buddies. Upon getting there, he spots the huge fly and starts chasing it. Meanwhile, the Turtles are watching TV and they see April’s report about the massive fly. The TMNT go to check it out and end up rescuing Genghis from the huge bug. 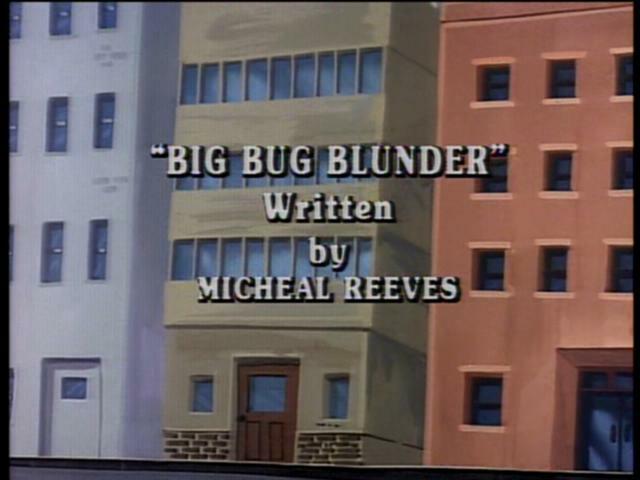 In Dimension X, Krang and Shredder use the mutagen on three bugs and send them to Earth to keep the Turtles busy while they move ahead with their plan. Their scheme is to find an anthill and use the mutagen on the ants. The city is going nuts with the giant insects running amok and destroying it. A mud wasp is building a nest on the Channel Six building and a giant scorpion attacks the Turtles and Genghis. Just as our heroes manage to trap the scorpion, April radios the Turtles asking for help. The TMNT rescue April from the mud wasp nest and soon after, the wasp attacks them. Shredder, Bebop and Rocksteady arrive on Earth and locate their anthill. Shredder accidentally spills some mutagen on an ant and it turns on them. 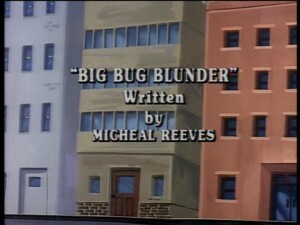 The villains manage to get away from the gigantic ant and then they return to the anthill. The Turtles, April and Genghis manage to herd all the insects together, but they can’t figure out what to do with them until they spot Shredder, Bebop and Rocksteady. Our heroes lure the bugs in Shredder’s direction. When Shredder sees the huge insects heading for him, he realizes he does not have time to go through with his plan and quickly tells Krang to open the portal. Shredder, Bebop and Rocksteady get through the portal, but do not close it in time. They suddenly find themselves in the Technodrome with all the insects that they had originally sent to Earth. Once again the Turtles have turned their nemesis’ plan against them.